we are not responsible for any damage that may occur to your device during the installation process. It acts at your own risk. All data will be deleted from your device so it is advisable to make a backup of your data first. Please make sure you have one of the following devices before you proceed. You also need a computer based on Linux (preferably Ubuntu ) for the installation process. 2 - Nexus boot at your device in bootloader mode and connect it to the computer via the USB cable. 4 - Accept the terms and conditions of release on the device screen. Reboot once completed. 5 - boots the device and enable USB debugging , then connect the device again to the computer via the USB cable. 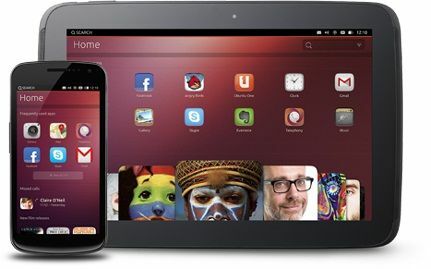 6 - This is where the picture really flashearemos Ubuntu Touch the device. As I said in the post, make a backup of all your important data. This will perform a full bootstrap on the device flashes the last biuld of Ubuntu Touch then restarts, after which your Nexus device should boot into Ubuntu Unity Shell . 7 - Ready! If all went well and have Ubuntu Touch Developer Preview on your Nexus .